Many people who have already started or are contemplating starting a business venture might overlook the benefits of business succession planning and estate planning. Business interests and estates must combine, especially from the beginning of establishing new a company. This is largely because small details, including those like the name of the company can become a legal entity and one that has value associated with it. Only in scheduling a consultation with an experienced business succession planning lawyer will enable you to understand all of the different ways that your personal assets and your business interests combine. Failing to plan can set your loved ones up for a very difficult situation down the road, particularly if your business succession plan names family members who don’t wish to take over the management of your company. This challenge might emerge after it is too late for you to do something about it, particularly if you have already become incapacitated or have had to leave the business so suddenly that there is little or no opportunity to plan. 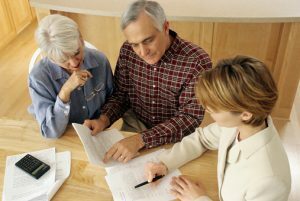 The only way to avoid these challenges is to schedule a consultation with an experienced estate planning lawyer. The owners of family businesses need to plan for in advance for the day when they will no longer be the owners. It’s called having an “exit strategy,” and a recent article on Forbes.com focused on just how far out this planning should begin. “Each owner and business has unique needs and goals to take into consideration,” wrote contribute Steve Parrish, who offers advice on exit planning. “Regardless of each owner’s situation, let me offer a probable timeline and checklist for beginning the exit planning process. Now is really when the process should start, but this checklist will help narrow the scope a bit. The purpose of starting to think about getting out a decade ahead of any plans to actually do so is to help save on taxes and settle matters of family succession. “If the business is meant to be a family legacy, planning needs to begin well in advance,” Parrish wrote. “First, since there typically is not a liquidity event for the owner (e.g. a sale) the owner needs more time to generate other sources of retirement income. Second, if the children are succeeding to manage the business, they obviously need an adequate amount of time to develop appropriate management and leadership skills.